MetricsGraphics.js is an opinionated library that aims to take the mystery and complication out of presenting and visualizing data. It offers line charts, scatterplots, bar charts, histograms and data tables* and elevates the layout and explanation of these graphics to the same level of priority as the graphics. The emergent philosophy is one of efficiency and practicality. By following the standards embodied by the library, you will make beautiful, concise and impactful presentations and dashboards. Today marks the release of v1.0—our first public release. We began building the library somewhat inadvertently earlier this year, during which time we found ourselves copy-and-pasting bits of code in various projects. Naturally, this led to errors and inconsistent features. We decided that it made sense to develop a single library that provides common functionality and aesthetics to all of our internal projects. You only need a few types of graphics to tell most business stories. Usability and conciseness are absolutely necessary in making a successful data graphic. Users should be guided toward customization options that enhance the data presentation, not superfluous visual tweaks. Layout, annotation, and explanation are as important as graphing and should be given as high a priority as the data. Presentations should work across a wide variety of contexts and devices. Development of the library should follow real needs, not imagined ones. Updating an existing graphic’s options or data is just as easy, seeing as the same function that’s used to create the data graphic is also used to update it. We don’t maintain state. We consider layout to be just as important as visualization. This is an aspect that many charting libraries leave out. The library ships with tooltips and textual descriptions, as well as a custom layout that you may wish to use in your own project. We believe that a good layout and a concise story are vital to acclimating customers to the data, and so the sample layout in the demo aims to do just that. As a final point, we follow a ‘real needs’ approach to development. Right now, we have mostly implemented features that have been important to us internally. Having said that, our work is available on Github, as are many of our discussions, and we take any and all pull requests and issues seriously. There is still a lot of work to be done. But this little library already has serious teeth. We invite you to try it out! Check out the MetricsGraphics.js repository on Github. *Data tables aren’t available just yet, but they are on the horizon. At Mozilla we believe that openness, innovation, and opportunity are key to the continued health of the Internet and we are committed to building Web products and services that provide outstanding functionality and capability to the user. This post describes a new feature that we plan to release into Firefox called Firefox Health Report which will share Firefox product information with Mozilla and its users to provide a better browsing experience. The modern car provides a good analogy for what we are planning to achieve with the Firefox Health Report. Earlier in its 100 year history the car was seen as novel and exciting, opening new opportunities for individuals and society. However the car was also seen as often capricious and sometimes dangerous – making users endure unwelcome anxieties. Today, cars have become a differentiated product maintaining all the positive promises of an earlier age. But much of the angst of earlier times is diminished by improved reliability, increased safety measures, and better maintenance approaches. A key to this improved state is better data efficiently used by the car manufacturer to deliver an excellent driving experience. All cars today come with the capability of logging or recording critical information on the car’s on-board computer. This information relates to the performance of critical sub-systems, the condition of key mechanical characteristics, and the occurrence of anomalous or dangerous events. This information is used by on-board control systems to advise the driver of potential problems or areas for improvement (e.g., check engine light) and used by service personnel to diagnose problems and determine repair actions (i.e., clearing service codes). In more sophisticated instances the information can be used to improve or programmatically optimize the vehicle by providing field upgrades for the on-board control software. Moreover, the information collected from a vast number of cars is invaluable to each manufacturer in optimizing their products. The information supports better maintenance and warranty programs and facilitates product recalls, if necessary. The information gives comprehensive insights into the empirical driving conditions encountered by their drivers. All the aggregated evidence from the field operation of cars is consumed in the design process and impacts positively the quality and functionality of future products. Today, Mozilla’s ability to deliver excellence to our Firefox users is quite limited. Up to now Mozilla has counted only Firefox installations and has some very basic information to allow limited cross-tabulations of these installations, without having any ability to assess the longitudinal trends on these population characteristics. Metaphorically speaking, the standard of our products statistics is frozen in the 1940s or 1950s. Modern evidence-based approaches to delivering a viable, let alone optimized, Firefox product demand more Firefox installation data, but acquired in a very carefully considered manner and with full disclosure of our motivations. We are transparent about our argument as to the existential necessity for Firefox functionality and our explicit social contract with the community around data and its ownership and stewardship. Our philosophy and mission set a very high standard of respecting user data and privacy (see Mitchell’s recent post). We are also commanded to make our products not just good but excellent, providing the best user experience in a secure manner. This new product feature will allow us to deliver an improved Firefox product that better serves users, both individually and collectively. Our proposal is driven by the best of scientific and analytical intent and takes the greatest of pains to manage downward the amount of data collected. Data needs are set to the minimum –necessary level. So let me explain what FHR will do. The car analogy drives home the point that we are interested in the browser instance (car) rather than the user (driver). In fact the information recorded is a pooled blend of the characteristics of all browser instances of a given profile. Needless to say, we – as in the auto case – have no interest in where the browser has been – search terms, keyword and location are not collected. User insights exhibited on-board the browser instance through visualizations and comparative graphics. Product insights conveyed to Mozilla – the manufacturer or designer of the car– to help in improving existing browser instances and especially to more fully inform future design and development of Firefox. Provide Mozilla with the ability to streamline and reduce duplicate information it collects across other products such as Telemetry. The Firefox Health Report will land in the Nightly build soon. For more information about it please take a look at this FAQ, or ask questions about it here by posting a comment. We’ll provide further updates when FHR becomes available in Nightly. We were asked to determine if EARLY_GLUESTARTUP_READ_OPS affected the startup time for Firefox. It is expected that when the former is 0, the startup time is shorter. The bug https://bugzilla.mozilla.org/show_bug.cgi?id=757215 describes this in more detail (and a place for the reader to comment). For our analysis on this, see http://people.mozilla.org/~sguha/757215.html . The Socorro crash report accumulation pipeline does not process all the crash reports. Though every report is stored on disk, only 10% are processed and saved in HBase as JSON objects. Each crash report has a crash signature (Crash Report Signature or CRS for short). The relationship between crash reports and CRSs is many to one. Consumers of the crash reports (engineers working on bugfixes, product managers to name a few) had concerns regarding the use of samples. For example, some asked if the 10% sampling is a viable sampling rate to accurately estimate the frequency of the CRSs and if not all of them, then how accurate are the top N most frequently observed crash report signatures? With FF’s usage running into the 100 millions, we can expect new CRSs to be coming in every day. Some are very rare (occurs for a small user base) and others more frequent. How many days can we expect to wait till we see 50% of all the CRS that come in (for a given version)? To answer these questions, the #breakpad team processed every crash report for the week 03/22-29/2011 , post Firefox 4 release. This served as a full enumeration of the crash report data. The full enumeration contained 2.2MM crash reports belonging to 84,760 CRSs. How accurate are the sample estimates? Does the top 100 from a sample equal the top 100 from the full enumeration (population) and are the proportion estimates accurate? Given estimates, can we provide something about their accuracy? How many distinct crash types are there? Throttling is a random sample of incoming crash reports. If in a 10% sample, we observe ‘N’ CRSs, can we estimate how many there in the population i.e. how many haven’t we seen? Estimating the number of unique CRS is entirely different from estimating the proportions of the CRS. Speed. Firefox will be faster due to less cache pressure, less paging, and fewer/smaller GC and CC pauses. Changes that reduce memory consumption but make Firefox slower are not desirable. Stability. Firefox will suffer fewer aborts/crashes due to virtual or physical memory exhaustion. The former is mostly a problem on 32-bit Windows builds with a 2GB or 4GB virtual memory limit, the latter is mostly a problem on mobile devices that lack swap space. The engineers working on MemShrink asked the Metrics team to help discover and quantify what variables affect variables that related to MemShrink. Key among these is RESIDENT_MEMORY which is the resident memory that Firefox occupies. For a given installation, multiple measurements are taken before the data is submitted. The data, for a given installation, is recorded as a histogram (so we dont have serial correlations between observations …), and the final value used in modeling is the weighted mean. Presence of Firebug extension causes a slight increase (on average of 12%) but the difference decreases with FF12. For more details and plots see http://people.mozilla.org/~sguha/memshrink.analysis.html . Telemetry is a feature in Firefox that captures performance metrics such as start up time, DNS latency among others. The number of metrics captured is in the order of a couple hundred. The data is sent back to the Mozilla Bagheera servers which is then analyzed by the engineers. The Telemetry feature asks the Nightly/Aurora (pre-release) users if they would like to submit their anonymized performance data . This resulted in a response rate (number of people who opted in divided by the number of people who were asked) of less than 3%. This led to two concerns: small number of responses (which changed when Telemetry became part of Firefox release) and more importantly representativeness: are the performance measurements as collected from the 3% representative of those of people who chose not to opt in? Measuring the bias is not easy unless we have measurements about the users who did not opt in. Firefox sends the following pieces of information to the Mozilla servers: operating system, Firefox version, extension identifiers and the time for the session to be restored. This is sent by all Firefox installations unless the distribution or user have the feature turned off (this is called the services AMO ping). The Telemetry data contains the same pieces of information. Note: ‘everyone’ is almost everyone. Very few have this feature turned off. We collected start up times for Firefox 7,8 and 9 for November, 2011 from the log files of services.addons.mozilla.org (SAMO). We also took the same information for the same period from the Telemetry data contained in HBase ( some code examples can be found at the end of the article). Are start up times different by Firefox version and/or Source, where source can be SAMO or Telemetry. 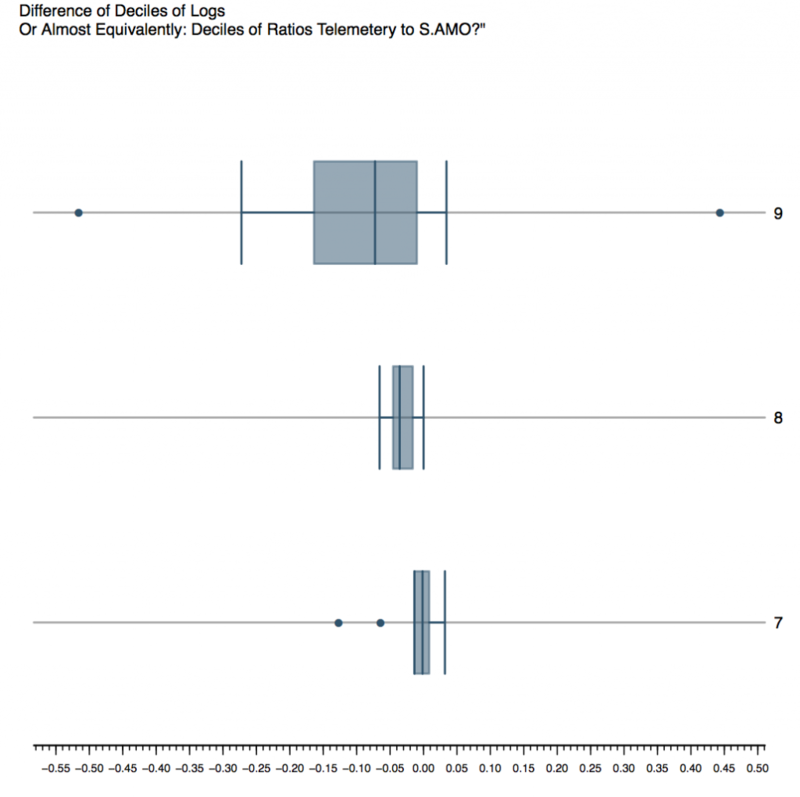 Figure 1 is boxplot of log of start up time for Telemetry (tele) vs. SAMO (samo) by Firefox version. 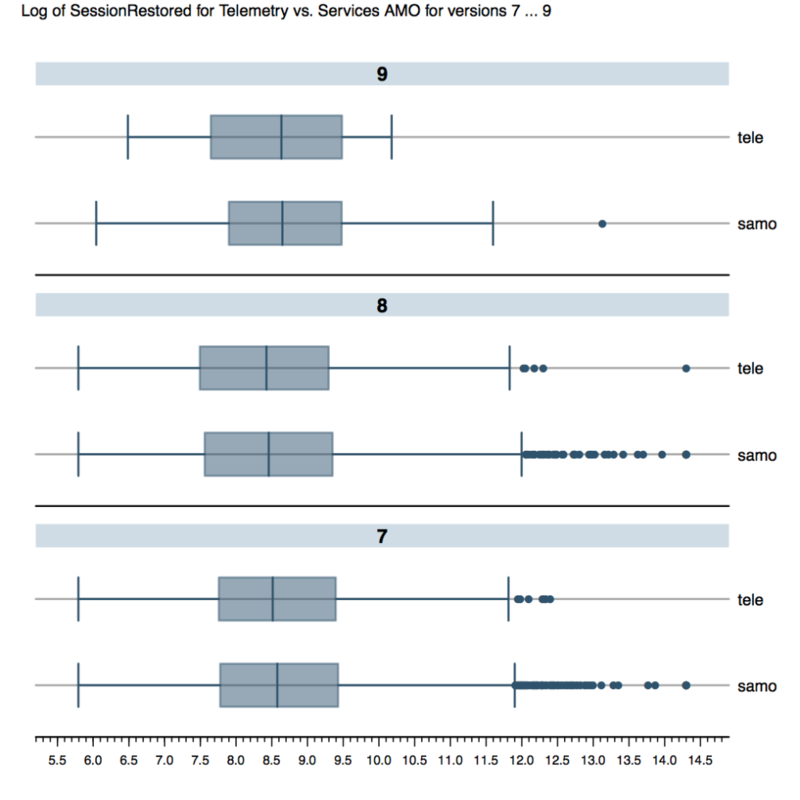 At first glance it appears the start up times from Telemetry are less than those of SAMO. But the length of the bars makes it difficult to stand by this conclusion. Figure 2 is the difference in the deciles of log of start up time. In other words, approximately speaking, the deciles of ratio of Telemetry start up time to SAMO start up time. The medians hover in the 0.8 region, though the bars are very wide and do not support to a the quick conclusion that Telemetry start up time is smaller. In Figure 3, we have the mean of medians of 1000 samples: red circles are for telemetry and black for SAMO. 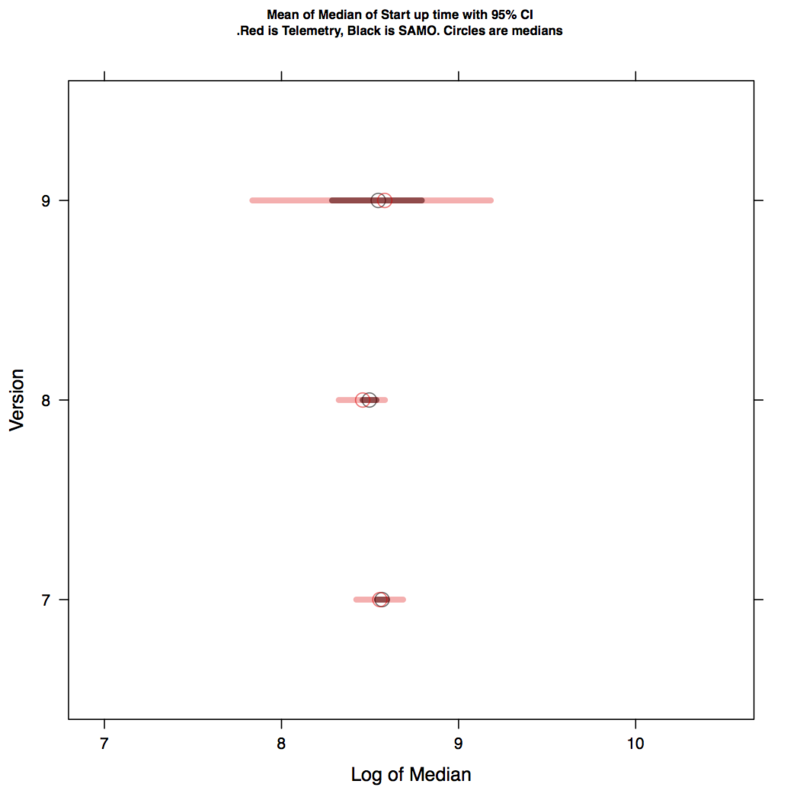 The ends of the line segments correspond the sample 95% confidence interval (based on the sample of sample medians). 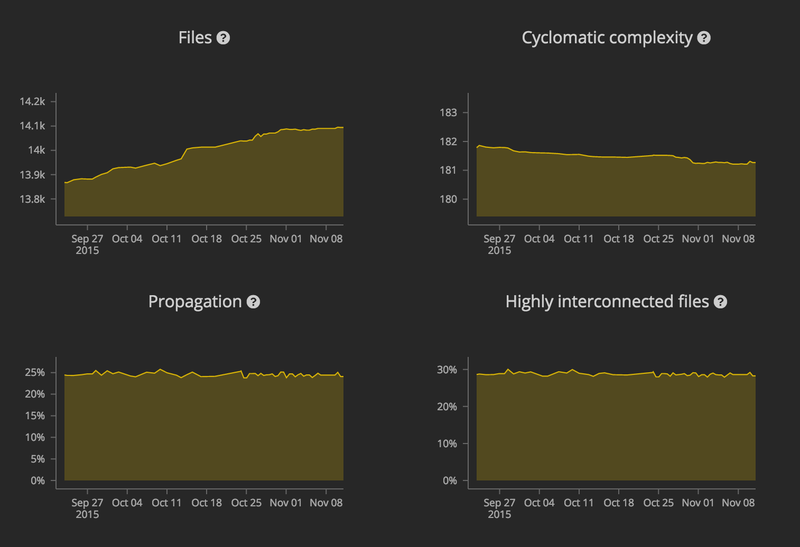 The CI for the SAMO data lies entirely within that of the Telemetry data. This makes one believe that the two groups are not different. The average ANOVA indicates does not support version effect or source effect (at the 1% level). In other words, the log of start up time is not affected by the version nor is it affected by the source (Telemetry/ SAMO). This is good news! Insofar start up time is concerned, Telemetry is representative of SAMO. 1. The samples are representative. We are sampling on 3 dimensions: startup time, src and version. Consider the 1000 quantiles of startup time, the 2 levels of src and 4 levels of version. All in all, we have 1000x2x4 or 8000 cells. Sampling from the population might result in several empty cells, so much so, that the joint distribution of the sample might be very different from that of the population. To confirm that our cell distribution of the samples reflect the cell distribution of the population, we computed Chi Square tests comparing the sample cell counts with that of the parent. All 1000 samples passed! 1. The data for SAMO was obtained from Hive, sent to a text file and then imported to blocked R data frames using RHIPE. All subsequent analysis was done using RHIPE. 3. Data sizes were in the few hundreds of gigabytes. All computations were done using RHIPE (R not on the on the nodes) on a 350TB/33 node Hadoop cluster. 3. I include some sample code to give a flavor of RHIPE. One issue that’s been on everyone’s mind lately is privacy. Privacy is extremely important to us at Mozilla, but it isn’t exactly clear how Firefox users define privacy. For example, what do Firefox users consider to be essential privacy issues? What features of a browsing experience lead users to consider a browser to be more or less private? We knew from our own focus group research that users are concerned about viruses, theft of their personal information and passwords, that a website might misuse their information, that someone may track their online “footprint”, or that their browser history is visible to others. Users view things like targeted ads, spam, browser crashes, popups, and windows imploring them to install updates as security risks. But it’s difficult to broadly generalize findings from focus groups. One group may or may not have the same concerns as the general population. The quality of the discussion moderator, or some unique combination of participants, the moderator, and/or the setting can also influence the findings you get from focus groups. One way of validating the representativeness of focus group research is to use surveys. But while surveys may increase the representativeness of your findings, they are not as flexible as focus groups. You have to give survey respondents their answer options up front. Therefore, by providing the options that a respondent can endorse, you are limiting their voice. A typical way to approach this problem in surveys is to use open-ended survey questions. In the pre-data mining days, we would have to manually code each of these survey responses: a first pass of all responses to get an idea of respondent “themes” or “topics” and a second pass to code each response according to those themes. This approach is costly in terms of time and effort, plus it also suffers from the problem of reproducibility; unless themes are extremely obvious, different coders might not classify a response as part of the same theme. But with modern text mining methods, we can simulate this coding process much more quickly and reproducibly. Because text mining is growing in popularity primarily due to its computational feasibility , it’s important to review the methods in some detail. Text mining, as with any machine learning-based approach, isn’t magic. There are a number of caveats to make about the text mining approach used. First, the clustering algorithm I chose to use requires an arbitrary and a priori decision regarding the number of clusters. I looked at 4 to 8 clusters and decided that 6 provided the best trade-off between themes expressed and redundancy. 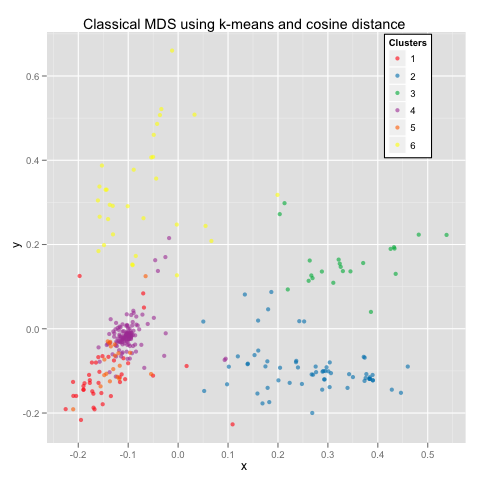 Second, there is a random component to clustering, meaning that one clustering of the same set of data may not produce the exact same results as another clustering. Theoretically, there shouldn’t be tremendous differences between the themes expressed in one clustering over another, but it’s important to keep these details in mind. The general idea of text mining is to assume that you can represent documents as “bags of words”, that bags of words can be represented or coded quantitatively, and that the quantitative representation of text can be projected into a multi-dimensional space. For example, I can represent survey respondents in two dimensions, where each point is a respondent’s answer. Points that are tightly clustered together mean that these responses are theoretically very similar with respect to lexical content (e.g., commonality of words). I also calculated a score that identifies the relative frequency of each word in a cluster, which is reflected in the size of the word on each cluster’s graph. In essence, the larger the word, the more it “defines” the cluster (i.e. its location and shape in the space). 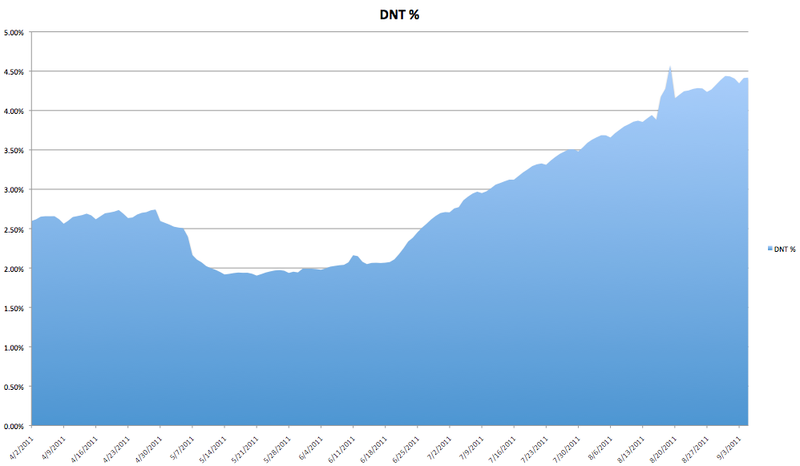 Higher resolution .pdf files of these graphs can be found here and here. “Privacy and Personal information”: Clusters 1, 4, and 5 are dominated by, unsurprisingly, concerns about information. 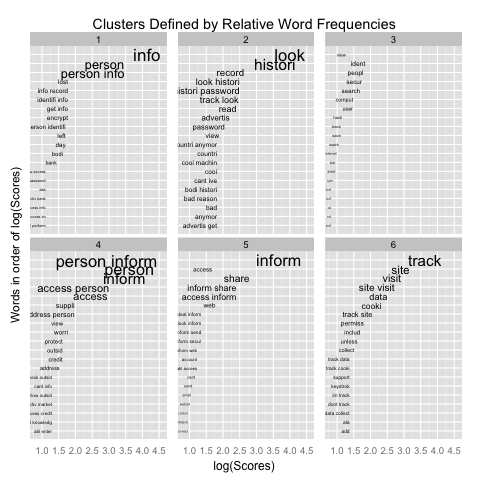 What’s interesting are the lower-level associations between the clusters and the words. The largest, densest cluster (cluster 4) deals mostly with access to personal information whereas cluster 1 addresses personal information as it relates to identity issues (such as when banking). Cluster 5 is subtly different from both 1 and 4. The extra emphasis on “share” could imply that users have different expectations of privacy with personal information that they explicitly choose to leak onto the web as opposed to personal information that they aren’t aware they are expressing. One area of further investigation would be to seek out user definitions on personal information; what makes some information more “personal” than others? “Privacy and Tracking”: Cluster 6 clearly shows that people associate being tracked as a privacy issue. The lower-scored words indicate what kind of tracked information concerns them (e.g., keystrokes, cookies, site visits), but in general the notion of “tracking” is paramount to respondents in this cluster. Compare this with cluster 2, which is more strongly defined by the words “look” and “history.” This is obviously a reference to the role that browsing history has in defining privacy. It’s interesting that these clusters are so distinct from each other, because it implies that users are aware there is a difference between their browser history and other behaviors they exhibit that could be tracked. It’s also interesting that users who consider browser history a privacy issue also consider advertising and ads (presumably a reference to targeted ads) as privacy issues as well. We can use this information to extend the focus group research on targeted ads; in addition to a security risk, some users also view targeted ads as an invasion of privacy. One interesting question naturally arises: do users differentiate between spam and targeted advertisements? “Privacy and Security”: The weakest defined group is cluster 3, which can be interpreted in many ways. The least controversial inference could be that these users simply don’t have a strong definition of privacy aside from a notion that privacy is related to identity and security. This validates a notion from our focus group research that some users really don’t differentiate between privacy and security. User privacy and browser security are very important to us at Mozilla, and developing a product that improves on both requires a deep and evolving understanding of what those words mean to people of all communities – our entire user population. In this post, we’ve shown how text mining can enhance our understanding of pre-existing focus group research and generate novel directions for further research. Moreover, we’ve also shown how it can provide insight into users’ perception by looking at the differences in the language they use to define a concept. In the next post, I’ll be using the same text mining approach to evaluate user definitions of security while browsing the web.